What’s does it really cost? When people come to me to quit smoking at Quit Smoking in 60 Minutes we always talk about the cost of smoking. What is interesting is that some people have an idea of how much it is costing them but the vast majority have no idea of the cost of their smoking habit. In Australia today it is costing $1 per cigarette. This means that the average smoker is now spending about $8000 a year. Before using hypnosis I point this out and a lot of my clients are shocked by this. As I point out there is a lot you can do with an extra $8000. 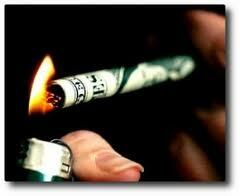 The biggest cost of your smoking habit is the cost to your health. Nearly everybody tells me that they want to quit smoking cigarettes for their health. Nobody can tell me what smoking cigarettes are costing them from a health point. What cost do you put on emphysema, cancer, lack of energy, lack of libido and many other debilitating conditions. I think that you will agree that we all like a fair deal in life. If you look at the so called benefits that you get from smoking versus the drawbacks then it is not a fair deal. If you like a fair deal and would like a life of longevity and vitality then it makes sense to quit smoking. Previous	Is That Really True? Next Stuff Health I Want to Smoke!